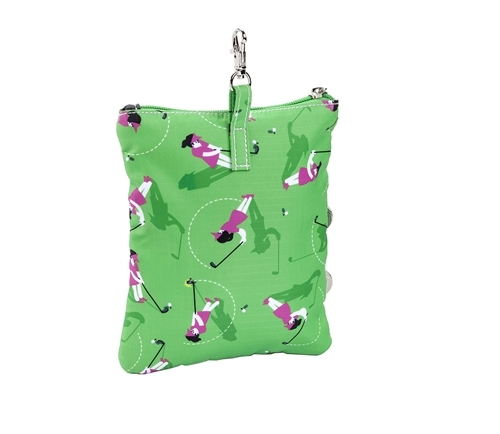 Sporty and fun lady Swing Time golf print. Water resistant light weight polyester nylon material. 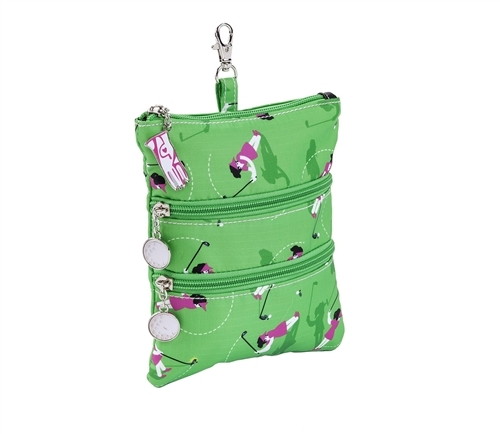 Top zip entry and two outside zippered pockets accented with enamel zipper pulls. 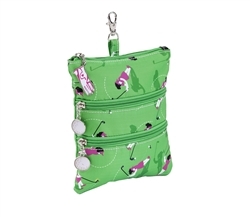 Can be attached to larger bag.